Remember the previous Mystery Makan sessions? If not, check out these entries here! And it was time for my turn again! Mystery Makan was something I came out with, we girls would take turns to plan for special makan places and bring each other. It was a great way to find out and experience new places that we might not have thought of before! I had seen this place countless of times when I had went to the Yun Nam outlet in PS for my hair treatment sessions. My personal preference when choosing places to go was nice decor and when I saw this place, I knew I found THE place! Here are some pics of the place! I brought my Ching Chong Boy! Fidel and Esther were each other's significant others for that day! We ordered a few dishes, in fact, most of us ordered the same starters! We also ordered a bevy of desserts to share! 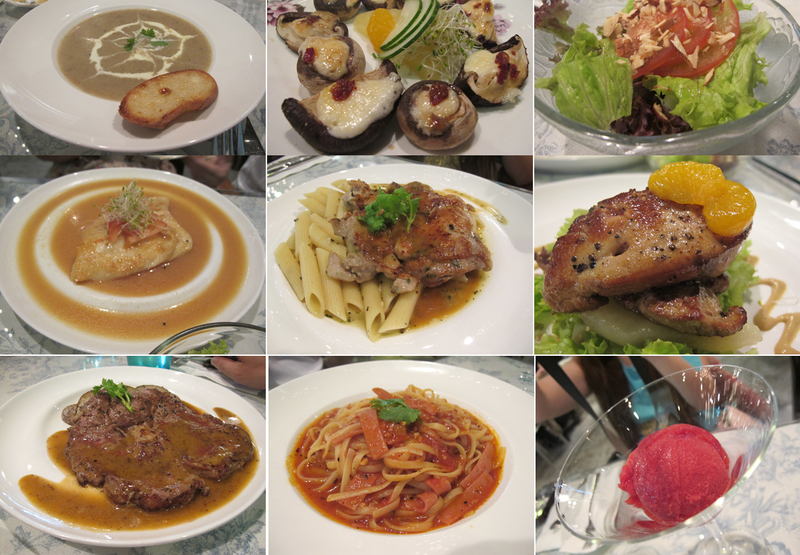 Here's a collage of the dishes ordered! The baked mushrooms was a simple but yet delightful dish. Fidel mentioned in her blog post that it was a simple dish to make. I shall try it soon! Foie gras. SUPER DUPER YUMMY. Must must must order! Only setback? It was too tiny. 🙁 I can eat TWO of these! Some pics with the rest before we ended the night! Last but not least, my outfit of the day. Cheapo rainbow dress from Bedok interchange (totally should be featured in Cheap Thrills! ), black woven belt from TheBlogShop, pink bag from Bkk and jellies from Novo. Posted in Food, Friends, Outfit of the day, Outings, Pictures, Reviews. 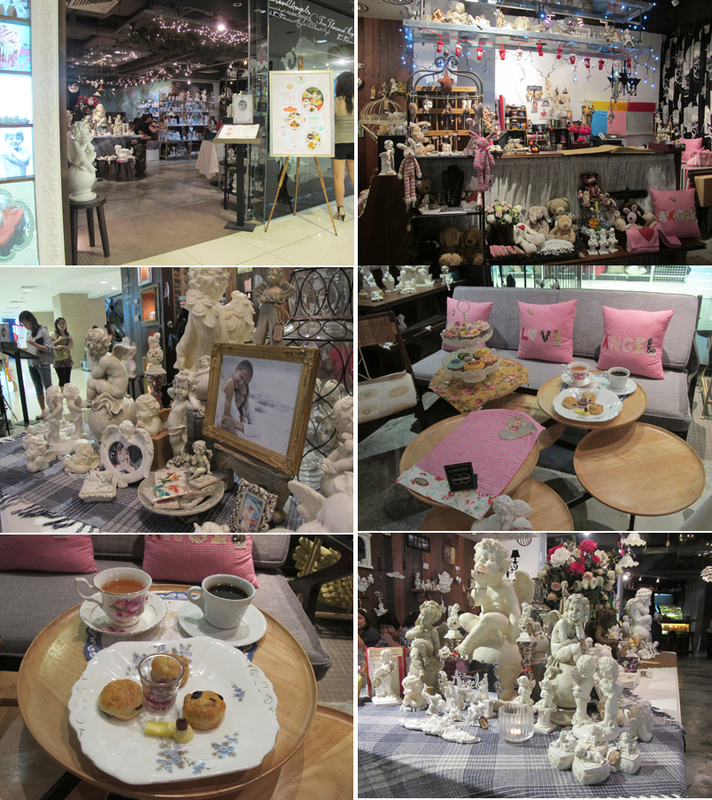 Tags: daintyflair, food blog, food reviews, iceangel, mystery makan, mysterymakan, nadnut, singapore lifestyle blog, tea cosy, theluckiestchick, victorian cafe on April 18, 2011 by nadnut. u look awesome with the cheapo rainbow dress, I love dresses are price at steal! Awww thanks babe! I got it at like $6!!!! Hehhee. thanks! kinda gian to colour it again though! Happy Easter! 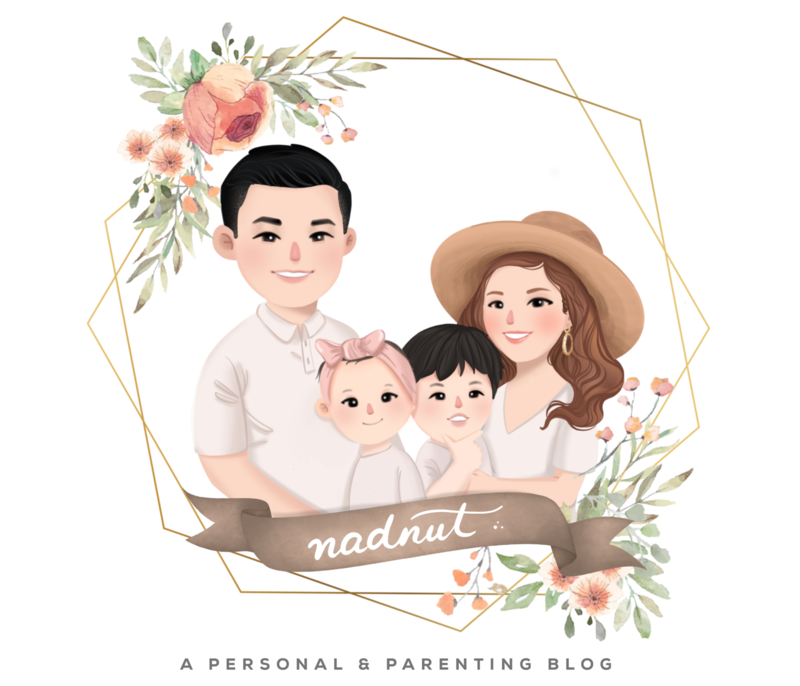 « http://www.nadnut.com – Singapore Lifestyle Blog covering Food, Beauty, Travel, Gadgets and Fun! Mystery Makan: Box N Sticks « nadnut.com – a Singapore Lifestyle Blog featuring Beauty, Fashion, Food, Travel, Gadgets, Life and Fun!